At the last National Bank of Romania meeting, the issue of the C/A deficit gained more attention than usual. Board members concluded that developments are “posing a concern in terms of the sustainability of economic growth and macro-stability”. From here to seeing increased pressures on the Romanian leu as “very likely”, it is of course not a long way. 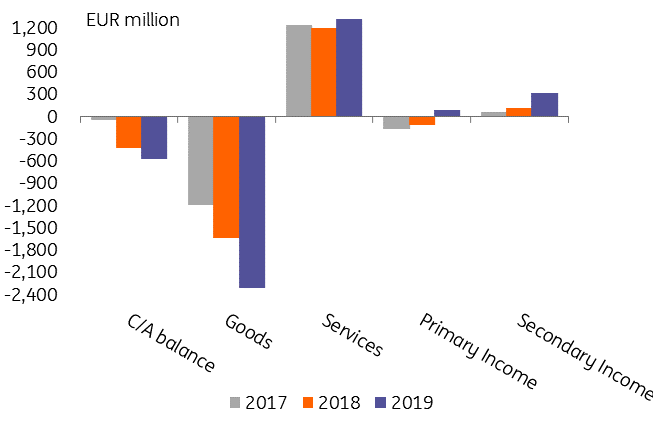 February 2019 data confirms the deterioration of Romania’s external position. 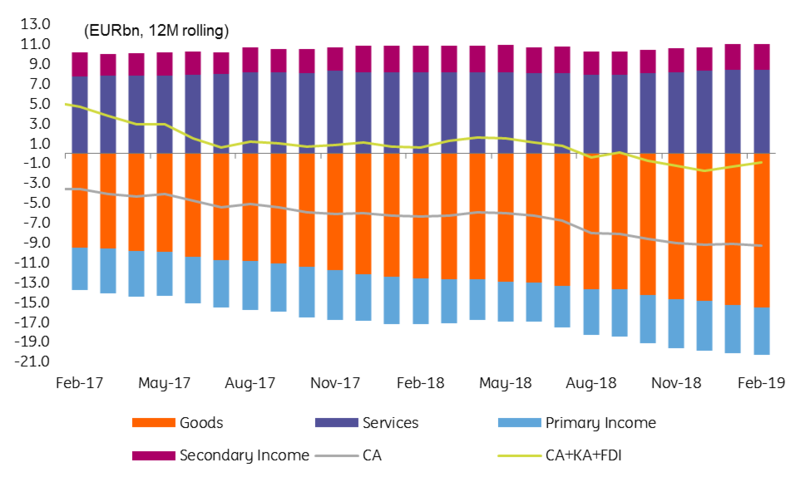 The goods sector moved deeper into negative territory, to €2.3 billion after the first two months of 2019. That’s 41% more than in 2018. While 10% higher than in 2018, the surplus on the services side couldn’t offset much of the deterioration. Nevertheless, at €1.3 billion, it is still the largest services surplus ever recorded after the first two months. On a 12-month rolling basis, the total external position remains quite deep in negative territory, at €0.9 billion. As already mentioned, we think the leu is stable but on borrowed time. A correction is overdue. With no compelling signs of adjustment in the external position, the more time that's borrowed, the sharper the future correction.